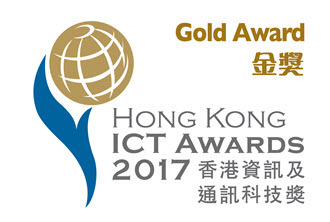 The Electronic Health Record Sharing System (eHRSS) developed and operated by the Food and Health Bureau (FHB) of the HKSAR Government and the Hospital Authority (HA) won the Best Business Solution (Application) Award (Gold Award) in the Hong Kong Information, Communications and Technology (ICT) Awards 2017. 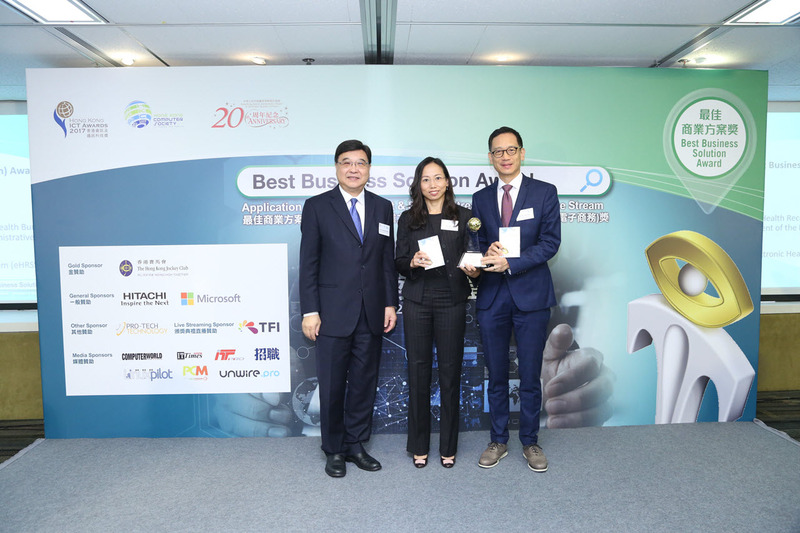 The Best Business Solution (Application) Award honours and promotes examples of successful and effective applications of ICT, and commends organisations that have successfully incorporated IT into existing business operations. 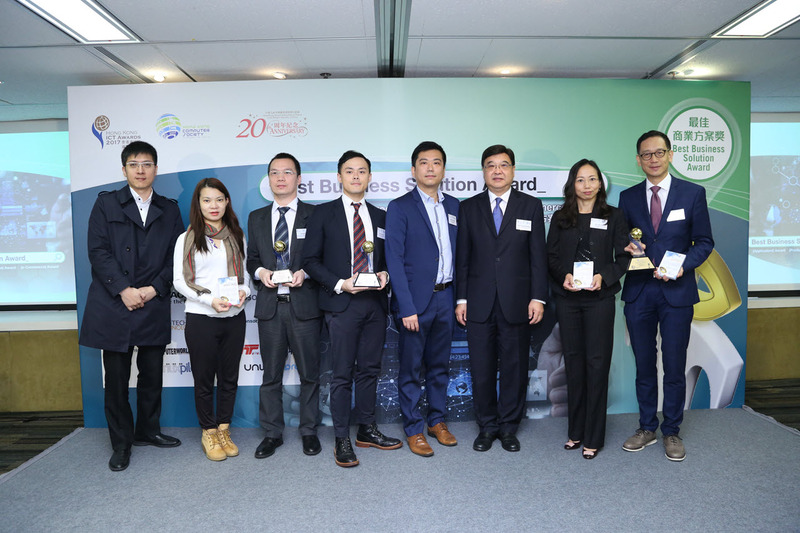 The award was presented to FHB and HA at the Hong Kong Club Building on 31 March 2017. The territory-wide eHRSS was launched in March 2016 to provide a new information infrastructure for multi-way sharing of patients’ electronic health data by participating public and private healthcare providers in Hong Kong. With patients’ consent, healthcare professionals of authorised participating healthcare organisations can access patients’ electronic health data for healthcare purposes. eHRSS has brought in new ways in the provision of healthcare services through information sharing and collaboration between the public and private sectors. Since its launch, eHRSS has received favourable response from the community and the healthcare sector. As at end-March 2017, over 430 000 patients and 1 200 healthcare organisations have already registered with the system. The Finance Committee of the Legislative Council has also recently approved a funding commitment of $422 million for the Government to take forward Stage 2 development of eHRSS with the aim to further enhance the functionalities of system and increase adoption in the private health sector. Head (Electronic Health Record), Ms Ida Lee (centre) and Consultant (eHealth), Dr Cheung Ngai-tseung (right) receive the award on behalf of FHB and HA. Group photo with winners of the award.